Ask any real estate agent, and they will tell you that when you put your home on the market, you are not selling a property or land. Nope, you’re selling a dream. This is where people often go wrong with selling their home. You’ll run into people who believe that a home sale is just about the land it’s on. After all, once the buyer purchases your home, they’ll redesign and remodel to make sure it’s their dream home right? If you have bought a home, you will know that you shouldn’t just be thinking about the asking price that you need to pay when you purchase a property. Instead, you need to take into account that a massive percent of buyers add to the cost by adding to the home after they have bought it. It’s not uncommon for people to spend thousands and even build additional extensions onto the home. However, this is irrelevant. Home buyers aren’t as imaginative as you think. You have to show them the potential of your property if you want them to buy. To do this, you need to make sure that you are marketing the dream of what your home can be or even what it is. Right away, you can see then that buyers aren’t just interested in the land. They are looking at what you have done with the property, what can be done with your home and whether it’s suitable for their needs. It needs to look like the ideal place to live. Let’s look at some of the best ways to make your home look like the modern dream come true. A home should be warm and cozy, and we don’t just mean that literally. Instead, it needs to be welcoming and a place that immediately makes someone feel like they have found where they belong. This can start before they even step onto your property. Yes, we’re talking about curb appeal. Imagine a cottage with a lovely little gate and a winding path up to the front door. If you’re selling a fixer-upper or a smaller home, this is the type of feature that you want to make sure that it gets the attention you need for a high selling price. You need to make it look like a fairytale. Of course, not every feature will be suitable for every type of home. You could be selling a contemporary villa. You don’t want a winding stone pathway through the front area selling this home. Instead, you need to keep things minimal, neat, tidy and chic. Landscapers can help ensure that your home fits the bill here with stunning designs guaranteed to make buyers feel like they have found their dream home. Inside, you can think about making your home look like the perfect place for a new family. 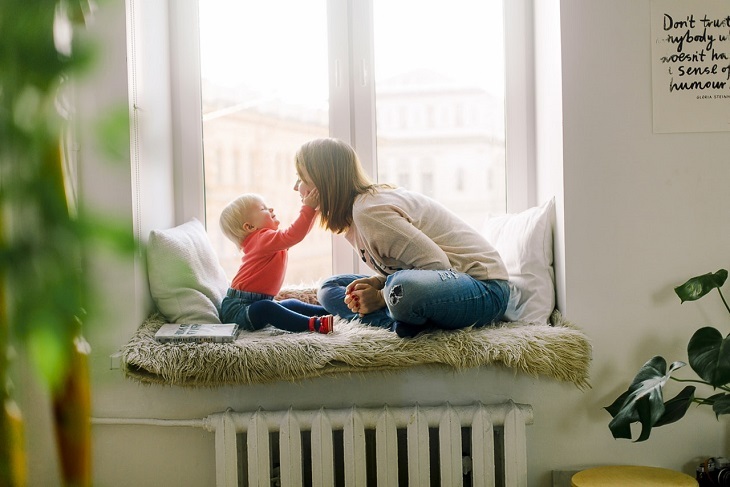 It’s likely that the people buying your property will either have kids or be thinking about having them, particularly if you are upscaling with your sale. 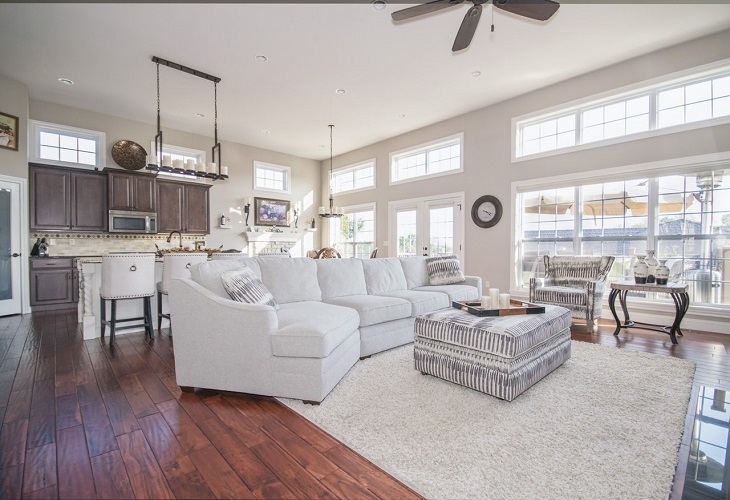 You need a family room – a place where the family can gather together, engage in conversation, watch TV and relax. There’s a mistake that you can make here, and that’s thinking cozy and cluttered are the same. You don’t want to add massive amounts of accessories and furniture to the room because this will make the property look a mess. A cozy, family room can still be minimal with a few chairs and a couple unique features that ensure it looks welcoming and picturesque. For instance, you can add a roaring log fire to the home, adding a traditional look to your property. Adding an actual log fire with a chimney will be incredibly expensive. Luckily there are various modern alternatives that will look absolutely stunning as part of any room in your home. With glass panels to view the fire and much more here, these fireplaces look gorgeous and are certain to capture the interest and attention of any guests visiting your home. This isn’t the only way to make the interior of your home look cozy and comfortable. Consider the kitchen for instance. Eat in kitchen areas have become very popular with modern homebuyers. Gone are the days of dining rooms thanks to open plan living, but that doesn’t mean that homebuyers are giving up on the idea of eating dinner as a family. 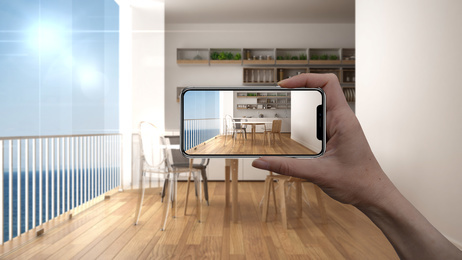 In fact, homebuyers are keen to purchase a property with an area in the kitchen specifically designed for dining together, either at breakfast or at the end of the day. If you want to add this feature to your home, consider installing a breakfast bar or island. Either is certain to be a hit and will even increase the value of your property. Other small details can be key to making buyers feel like they have found their new home when they walk through the door. For instance, you can add a vestibule area to your property. Key features include a coat or hat rack that can be hanging on the wall. It’s not as expensive as you think to remodel the area near your door into a vestibule, guaranteed to impress new buyers. We’ve talked a little about making sure that your property looks like a home suitable for a family. Bear in mind you need to look like a home for the ‘dream’ family, rather than the actual real family that could be living there. Toys scattered across the floor, a dog running around the place and stains on the carpets is not what buyers want to see. Instead, use the tricks of show home designers when making your property look perfect for families. Carefully design the home style with small accessories that suggest family without making your home look like a cluttered mess. Preemptively packing can be a smart choice here too. Pack up a few of those extra pieces of furniture and accessories, ready for the move. By doing this, you can even make your home look larger, perfect for a growing family. Use this advice, and you won’t just sell your home, you’ll sell the dream.